Back in the heyday of grunge, San Diego was being touted as the next Seattle. Bands sprouted everywhere and had places to play. Not so much anymore - canned music and DJs are more the norms for bars and clubs in town. But if you try hard enough, there are still places to hear real, live bands...covers, originals, all genres. We're talking bars, not concert venues like House of Blues. Sure, it might not be Austin, where live music is everywhere, but there are still cool places to pay a minimum cover, hang out, have a drink, and listen to an array of bands and artists. Here are the best bars for live music in San Diego. OK, so maybe they do host national and buzzworthy acts, and they have a reputation as the hippest concert venue in town, but for all intents and purposes, the Casbah is still just a little bar -- and a divey one at that. 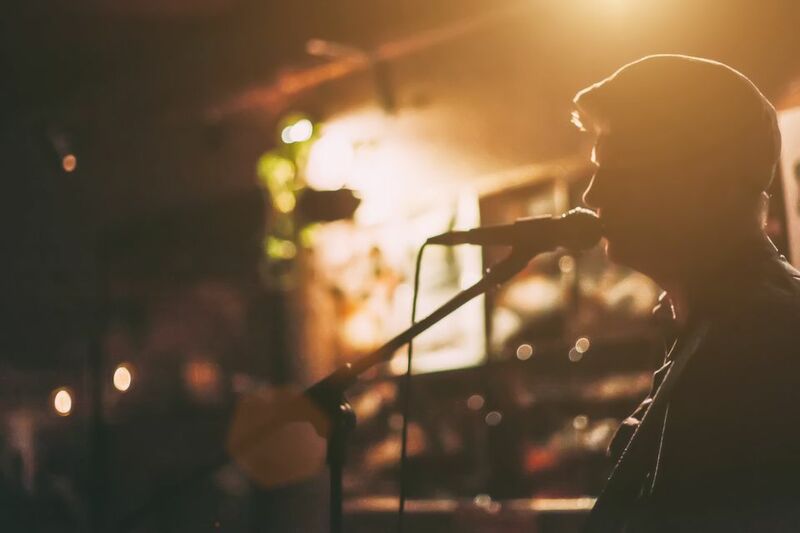 Casbah has live music nearly every day of the week, with mostly unknown or local bands, which helps to make it stand out for live music in San Diego. Cover charges can be zero or a heftier sum for national acts. Just down the Boulevard from rock and roll joint Eleven is another stellar rock club, the Soda Bar and Lounge. It's a hipster dive bar, but it's also pretty chill, with a wide variety of live music, cheap drinks, and cheap cover charges. Before the Gaslamp became a nightlife attraction, Patrick's II was the only place downtown with "live" music for years. So, in an area of nightclub "concepts," Patrick's II is the real deal and has become known as the premier blues club in San Diego, bringing in talent from all over the country as well as the thriving local music scene. The music is usually top notch, and unlike at other places in the Gaslamp Quarter, you won't feel the need to get dressed to the nines to enjoy the place. Normally you probably wouldn't think to go to a local Mexican food restaurant to go see live music, but the Tio Leo's location in the Morena area has offered up some eclectic music in its lounge area for years. Local music legend Joey Harris has played there. The musical acts tend to greatly vary in genre so will appeal to a wide range of musical interests. Lestat's is actually a coffee house -- and a 24-hour one, at that. Although it isn't a bar like the others on this list, Lester's is here because there's live original entertainment almost every night of the week at its music annex, Lestat's West. Leaning mostly towards the singer-songwriter genre, Lestat's also features comedy nights, bands and the spoken word. The upscale neighborhood of Kensington isn't often a place you think of for live music, but the Kensington Club has a pedigree as one of San Diego's stellar live music bars with a great jukebox selection as well. The stage has played host to singers, bands, and even DJs. Most Irish bars around town seem to only be Irish in name and because they have Guinness on tap. But the Ould Sod is different - it might not have the faux ambiance of other pubs, but it's more authentic in every other way. It's a neighborhood bar, long and narrow, and you can also see some talented musicians performing here -- from traditional Irish music to country to singer-songwriters. Pal Joey's is quite an unassuming place: a neighborhood bar in an aging strip mall in a quiet Allied Gardens neighborhood. Pal Joey's is a place where you have regular neighborhood patrons mixing with people who somehow stumble upon this bar seeking a quick cocktail. Then they stay to watch the band, enjoy the unpretentiousness, and then possibly become regulars themselves. For live music, be sure to check out the live jam on Wednesdays. Band friendly Winston's Beach Club is an Ocean Beach institution and completely captures the laidback vibe of O.B. It's a bar to hit if you're into a Dead/Reggae/Jam Band vibe. Grab a burger at Hodad's, then head over to Winston's for the music. Make sure to catch Jose Sinatra's regular gig there, or the Listen Local happy hour showcase. Til Two Club in City Heights used to be the Beauty Bar, and it still attracts its share of hipsters, but it's also a place to see some live bands (along with the obligatory DJ spinners). Bar Pink is located in North Park and serves up live bands and DJs along with cheap drinks. It's small and usually crowded, but they do have live music most nights, and that's always worth forging a spot in the bar for. The City Heights-based Tower Bar is steeped in history plus is located in an odd structure that hardly looks like it can house a bar, much less a band, but it manages. Around since 1932, the Tower is indeed a San Diego landmark and also a great place for finding live music. Humphrey's Backstage Live may be located in a resort catering to tourists in San Diego, but that doesn't mean it doesn't do live music well. The quality and caliber of performers are usually top notch and range from jazz to rock to Top 40. What Cool Concerts Are Coming to San Diego?